UPS ECO mode – what’s so good about it? All of our online double conversion UPS systems feature a setting option to run the UPS in an ECO mode. What does this mean? And is it beneficial for you? We will try to answer those questions for you. An ECO mode in UPS systems essentially means that the UPS’s inverter is in a standby mode. It only kicks in if the mains power fails. 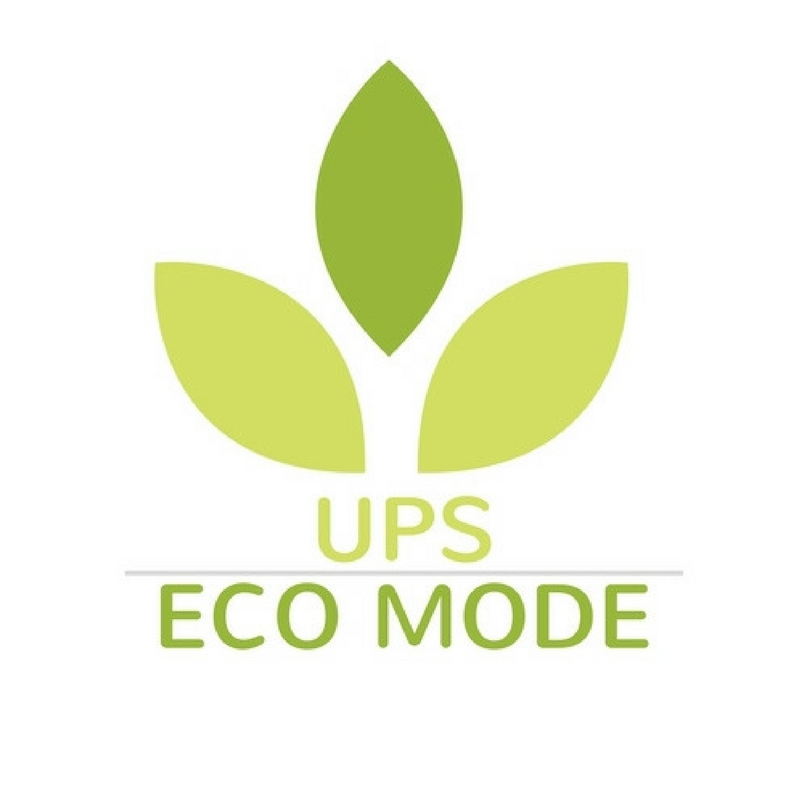 By enabling ECO mode on your UPS it will basically have the same operation as a regular line interactive UPS. In a nutshell, by enabling the ECO mode you’ll expose the load to raw utility power. The ECO mode has some great advantages, such as efficiency improved from 94%-97% to 98%-99% and lower operation costs (up to 4% reduction on energy use). It may also prolong the lifetime of some of the UPS components due to the decreased operating temperature on these components – the UPS is in a bypass mode hence some components are not in use which may prolong their life span. However the ECO mode not only has positives, it also comes with some risks: the fact that the UPS must first detect power failure and then turn on the inverter results in a transfer time that in some critical applications cannot be tolerated. Unlike the standard (online) mode of fully featured online UPS systems (our VFI-T, VFI-B and TX series) where the switchover time is nonexistent, this may be an issue for some critical, highly sensitive equipment. The ECO mode can improve UPS efficiency by about 2%-4%, however at the cost of possible downtime due to the switchover time. The switchover time can last anywhere from 1-16 milliseconds during which time your equipment will be exposed to any power problems present on the mains. Some equipment may be okay to cope with the transfer time, however some more complex and critical loads may be unable to tolerate it. The ECO mode comes with some other risks: Besides the risk of reduced electrical protection which may have a negative impact on reliability and possible operation issues, the UPS in ECO mode will switch to battery at any instance of power problem which may have been easily dealt with without reverting to battery using standard online mode. This may negatively affects the battery’s lifetime and wear. These are the advantages and disadvantages of using UPS in an ECO mode. The ECO mode can improve efficiency and reduce operation costs of your UPS, however while choosing your default operation mode, you need to bear in mind all the associated risk and decide if your equipment can take on the risk. As an operator you need to thoroughly consider all pros and cons and decide what settings will work best for you.